Universal indicator. 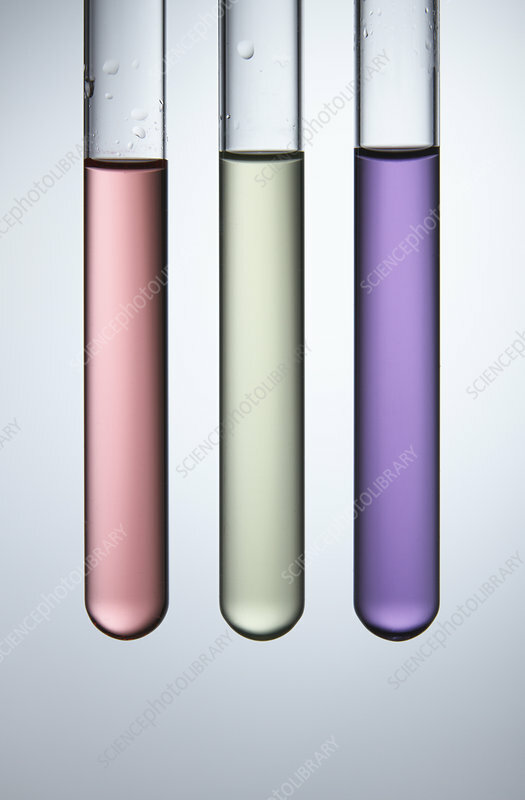 Universal indicator was added to three test tubes containing solutions with varying pH values, left to right: acidic (0.01M hydrochloric acid), pH=2; neutral (buffer solution), pH=7; alkaline (0.01M sodium hydroxide), pH=12. Universal indicator changes its colour depending on the pH of the solution.